Most days I work from home in the mornings then head to a local coffee shop to finish up my hours. Often that includes popping by a few shops, taking a long walk/hike or grabbing dinner after — and that means I need to have my on-the-go makeup essentials in my bag. I find that my makeup needs to do two things for me throughout the day: combat oil and protect my skin from the sun. These products do just that. 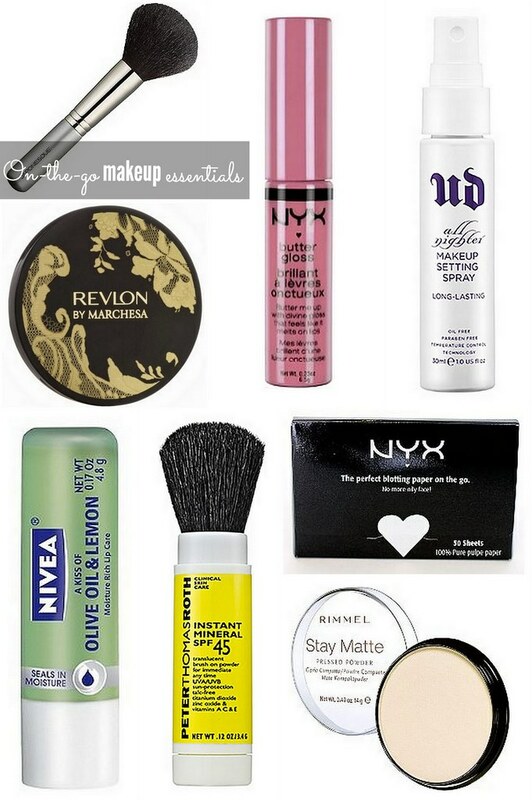 What makeup essentials do you carry in your bag every day?